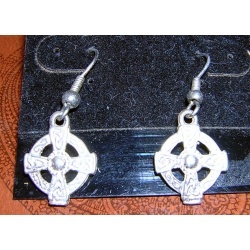 Slightly smaller than a dime, Celtic equal-armed cross with great detail. Surgical Steel earwires. Also available as post earrings. surgical steel earwires. 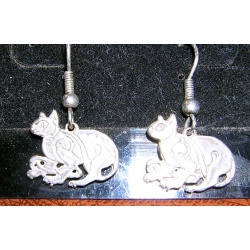 Fun Celtic cat motif. 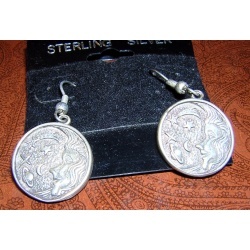 Dime-sized solid drops hang from surgical steel earwires. Lovely detailing. our small knotworkThor's Hammers hang from surgical steel posts. Lovely detailing. our small knotworkThor's Hammers hang from surgical steel earwires. Lovely detailing.